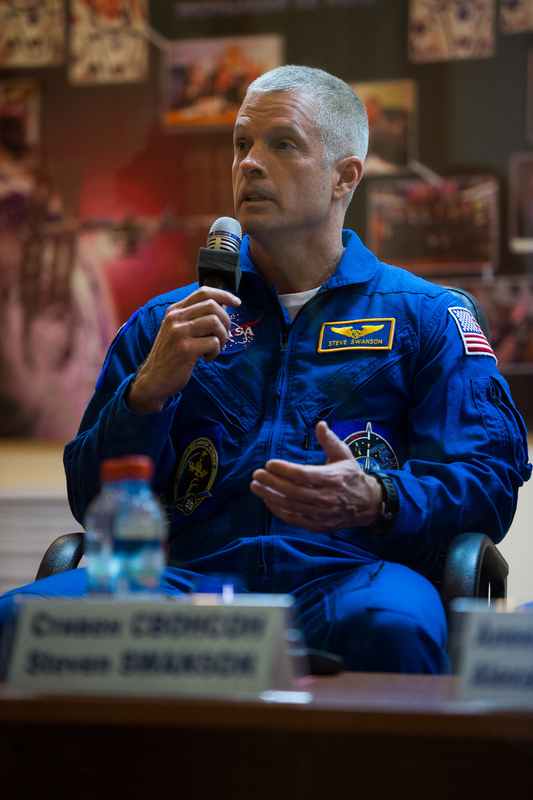 The second half of the crew members of Expedition 39 – NASA astronaut Steve Swanson and cosmonauts Alexander Skvortsov and Oleg Artemyev docked with the orbiting lab on Thursday evening EET and are now on the ISS! 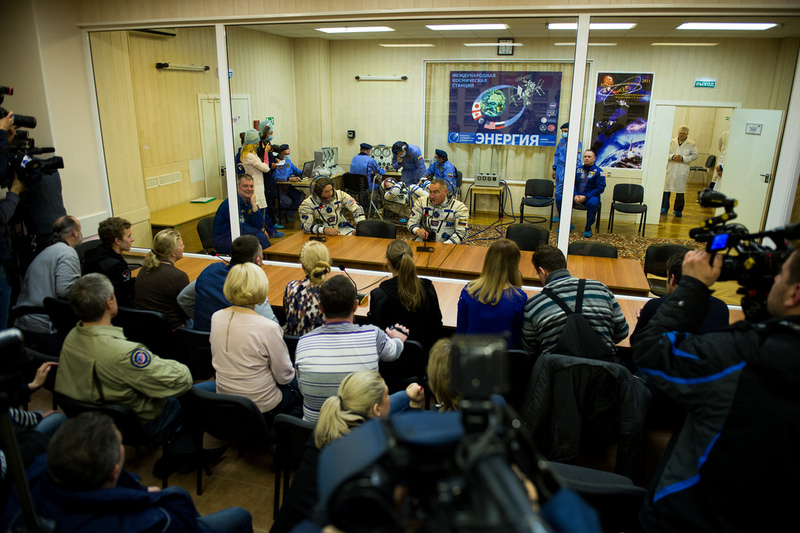 They were supposed to travel only six hours to the ISS, but a critical engine burn (third in a sequence) wasn’t executed and they had to make 34 orbits in 2 days around Earth to reach the space station. 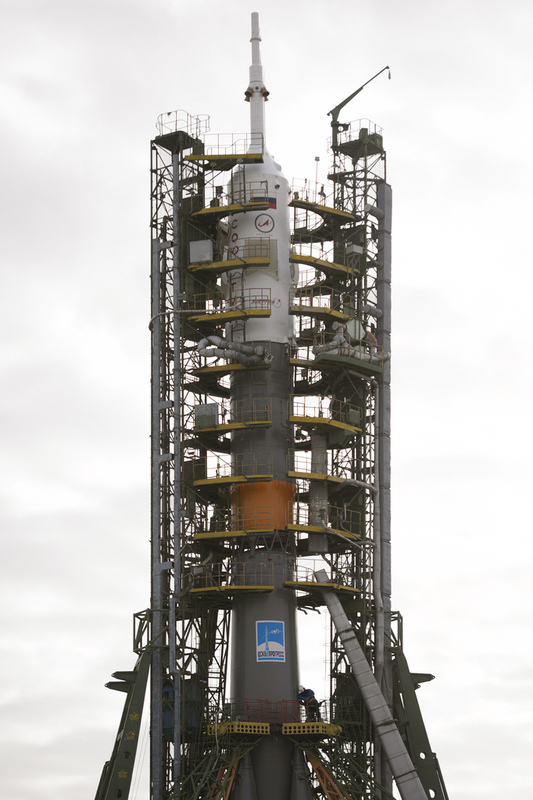 The third engine burn was not executed automatically by the Soyuz TMA-12 spacecraft because they failed to input coordinates to the machine that they are already at the appropriate altitude from Earth, so the burn was not executed. 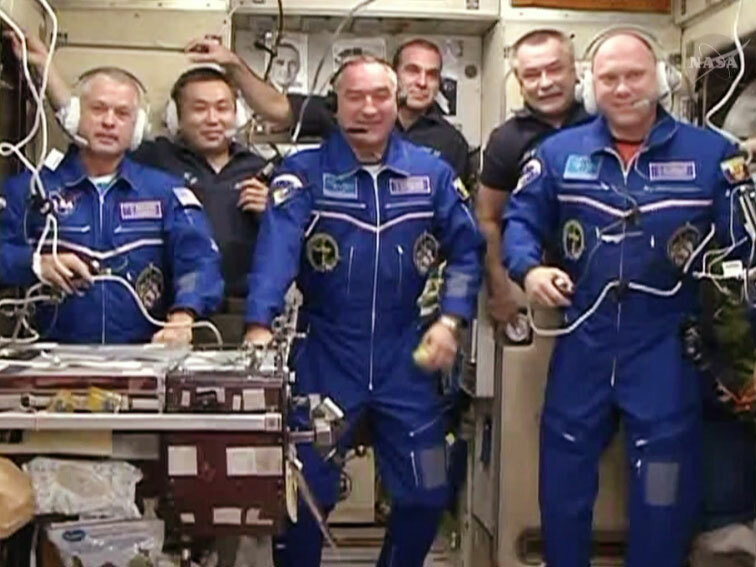 Now on the ISS is functioning the full crew of Expedition 39. 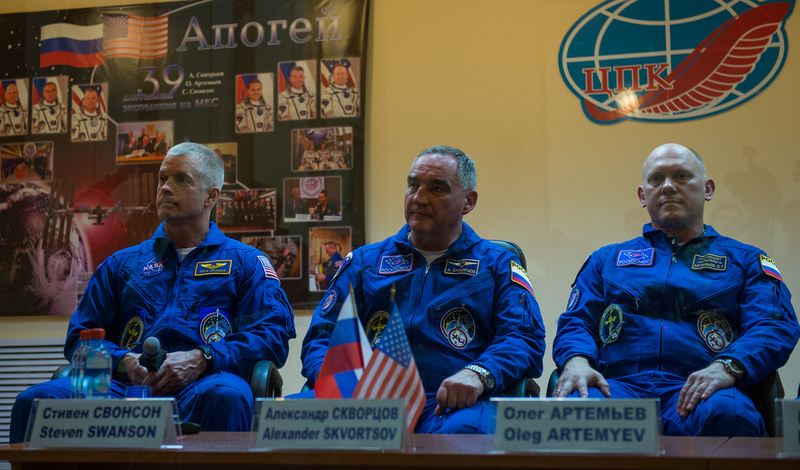 The three newcomers joined NASA’s astronaut Rick Mastracchio, Japanese astronaut Koichi Wakata and cosmonaut Mikhail Tyurin. 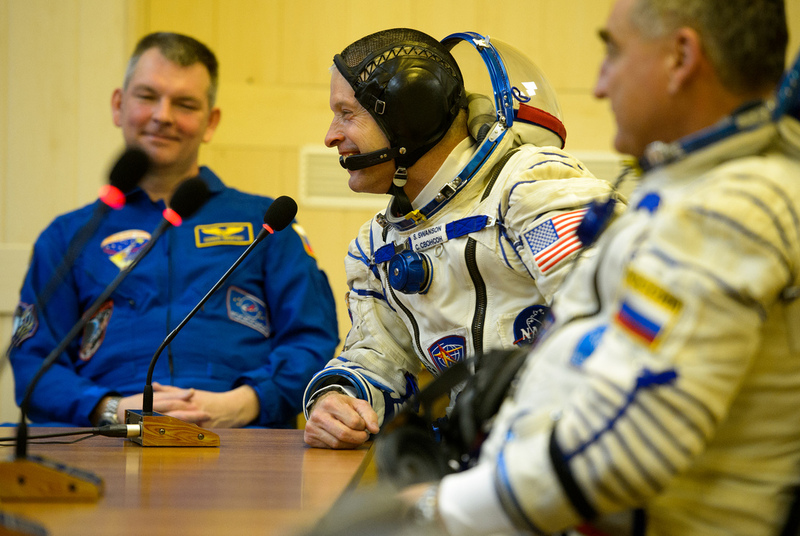 Thursday’s docking to the space station marked Steve Swanson’s first longer stay in space. Yesterday night I was sitting in front of my two-monitor PC at home with breath hold as I was watching a Live Stream of Expedition 39 second three astronauts departure from Earth to the International Space Station. Gazed at my full-screen main monitor live stream, second monitor showing the current position of the ISS, I was watching with great interest the launch of the Russian Soyuz rocket from Baikonur Cosmodrome in Kazakhstan. 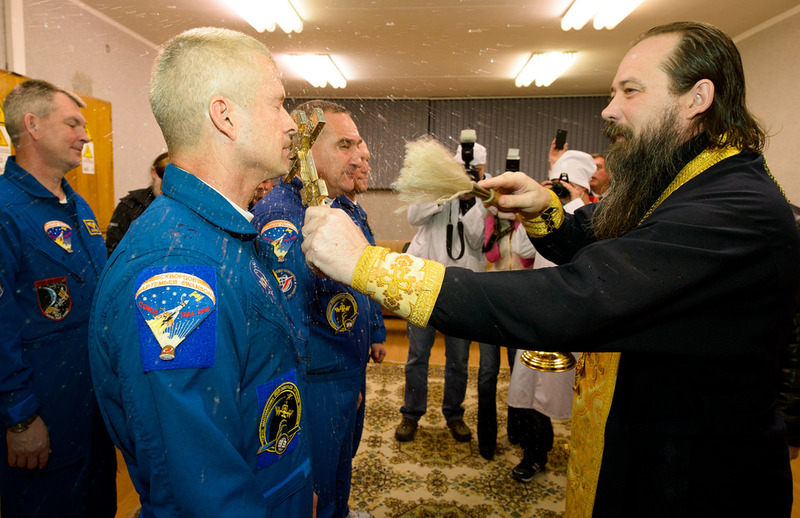 The US astronaut Steve Swanson and cosmonauts Alexander Skvortsov and Oleg Artemyev are the second part of Expedition 39. Their three colleagues are already “upstairs” waiting for them. 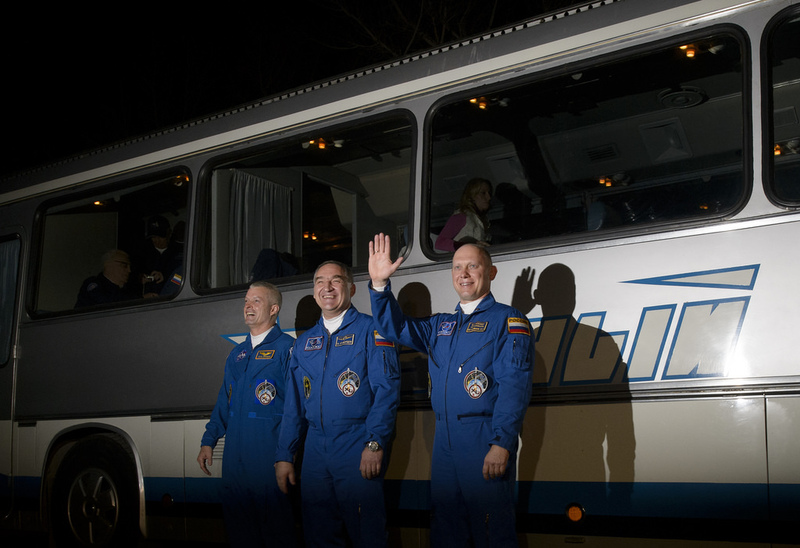 Each of them will spend six month on board the ISS. 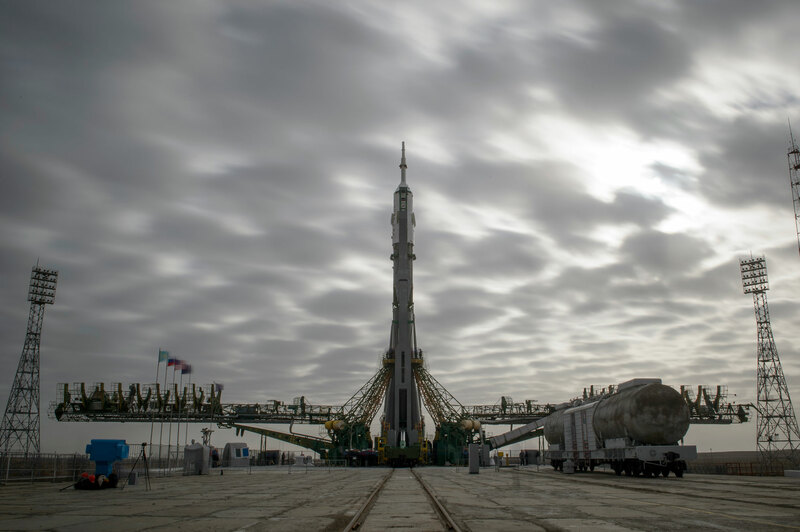 So, I was watching all the preparations from hours before the launch, talks with their families, preparations in the Russian Energia buildings, the erecting of the Soyuz rocket, the astronauts putting on their spacesuits and going to the rocket, making a farewell picture, etc. 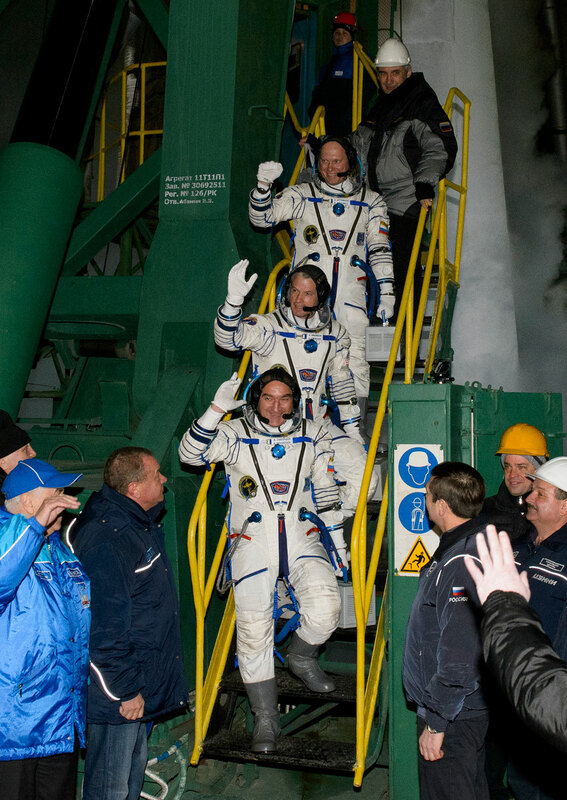 The three astronauts were sitting tight in the Russian Soyuz TMA-12 spacecraft on board the huge Soyuz rocket! 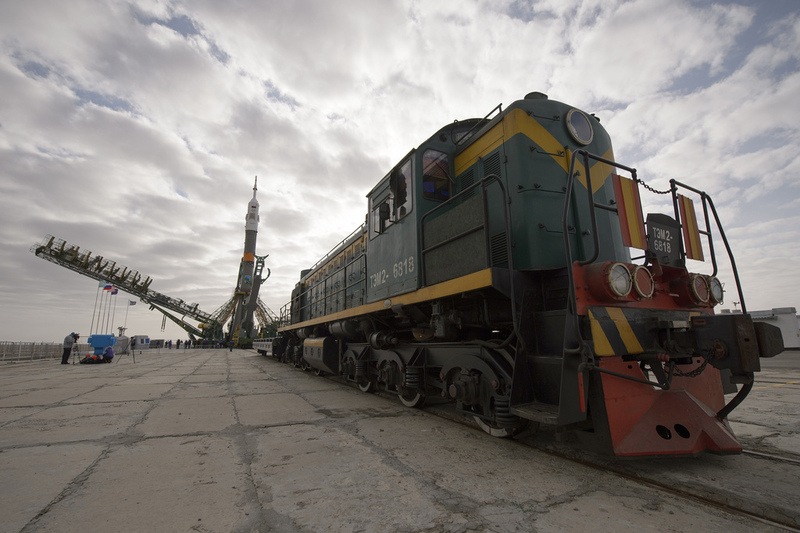 Three minutes before the launch the ISS passed 420 km right above their heads, speeding with 28000 km/h. 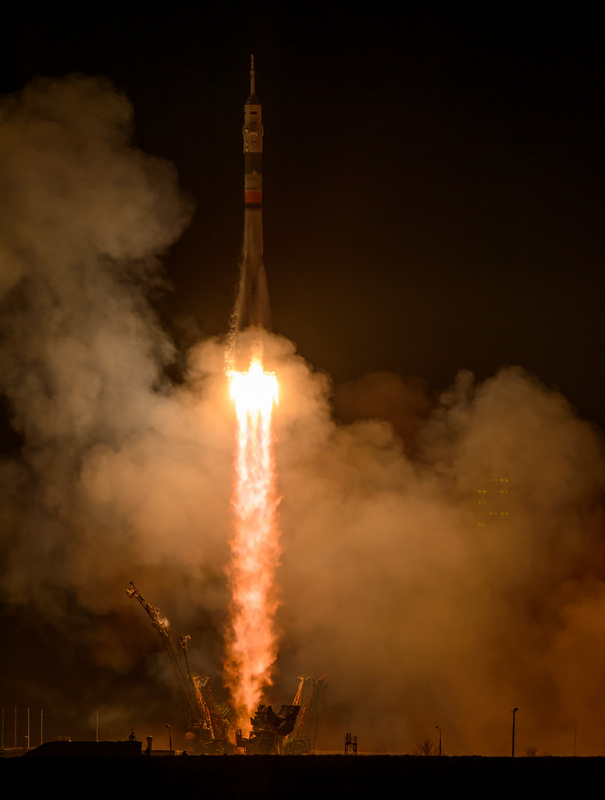 Three minutes later, the countdown went to 0 and the Soyuz rocket launched flawlessly into space, starting its chase to the ISS. 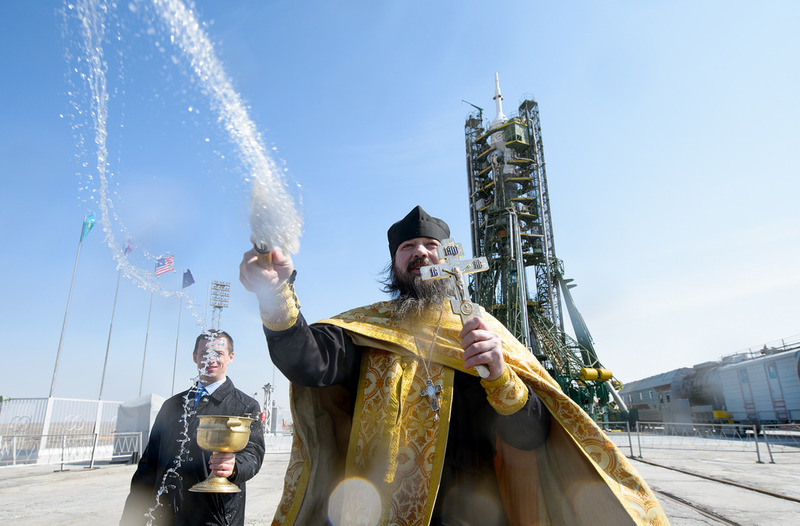 The launch went perfect! Until two years ago, astronauts had to spend two days in orbit around Earth, fine-tuning their orbit to meet the space station. Four burns were needed during these two days to make the correct orbit. 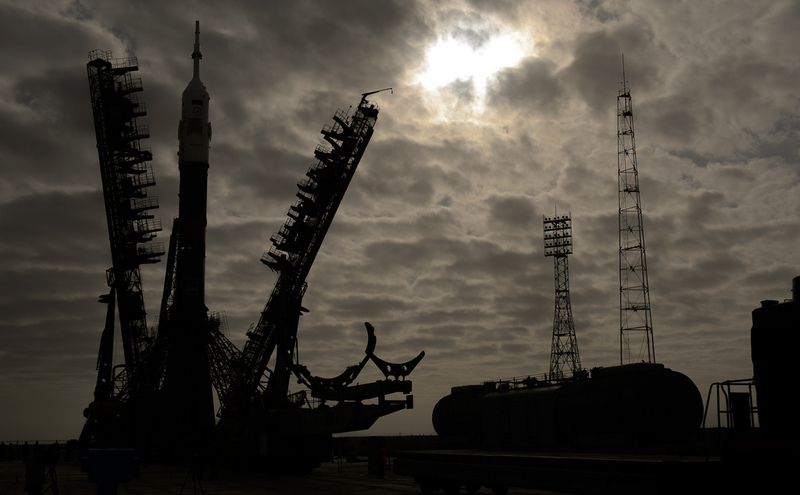 But now, a new fast-track rendezvous is used to bring the astronauts to the station in just short of 6 hours! All the tasks are the same during liftoff and orbits, automatically done by the spacecraft, but they are just compressed in less time. 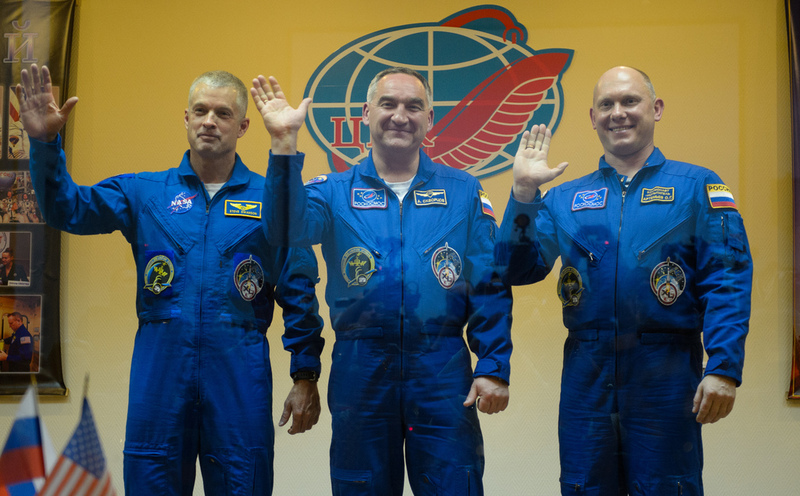 Again, four critical burns of the Soyuz TMA-12 are needed to dock to the ISS, so after liftoff last night, I went to bed, thinking how these three men will be 420 km above Earth, on the station in just 6 hours! 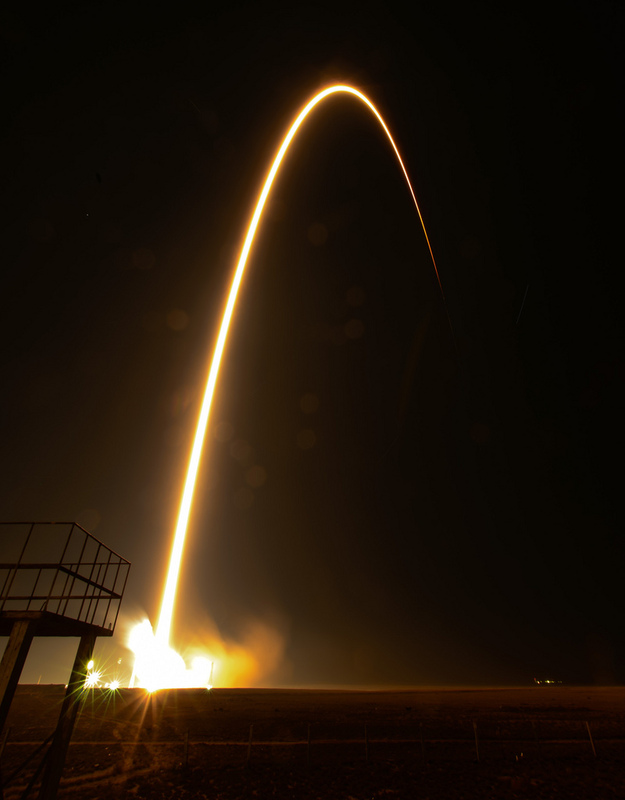 I was surprised to read this morning that the TMA-12 missed its third burn maneuver due to a software glitch or a hardware malfunction – it is not known yet, and the three astronauts have to use the backup 2-day trajectory now again. 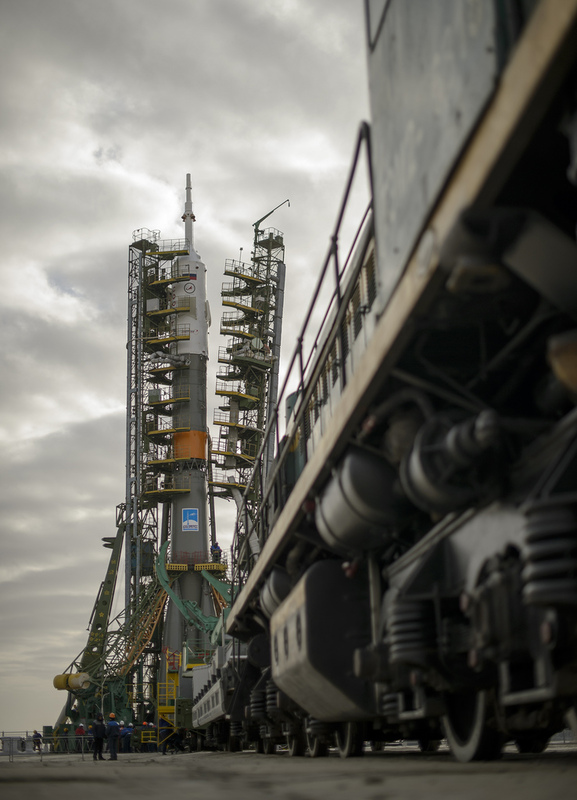 They will be orbiting Earth until Thursday, 27 evening when is the new expected dock of the Soyuz TMA-12 with the ISS. So, instead of orbiting Earth just 4 times, they will orbit it 34 times! 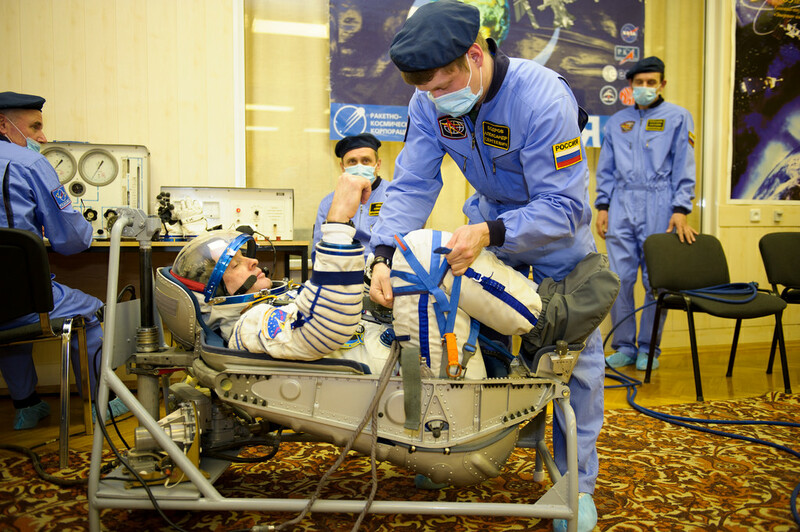 They will have enough supplies and the Soyuz spacecraft can fly autonomously for up to 4 days in orbit around Earth. 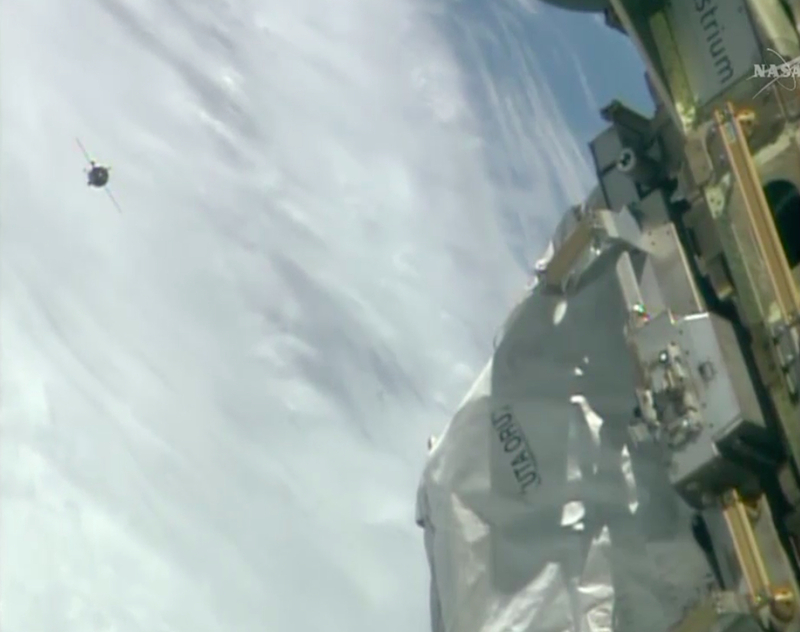 Being on the ISS by now would mean that they will save also fuel, oxygen and other supplies. But the important thing is for them to arrive to the station safe and sound, so stay tuned for more updates today and tomorrow.